"Doing the best at this moment puts you in the best place for the next moment. Oprah Winfrey"
BRAND NEW LITHUANIA & BALTIC CHAMPION!!!!! ADB XCELL CH EXC 1 CQ BM 1 CAC CACIB & BEST OF BREED -> BRAND NEW SWEDISH CHAMPION!!!!! FINNISH MINIATURE PINSCHERS CLUB SPECIAL SHOW 2016 was 11.06.2016 in HÄMEENLINNA. Judges was for males Mr. Clemente Grosso from Italy and for females Mrs. Auli Haapiainen-Liikanen from Finland. 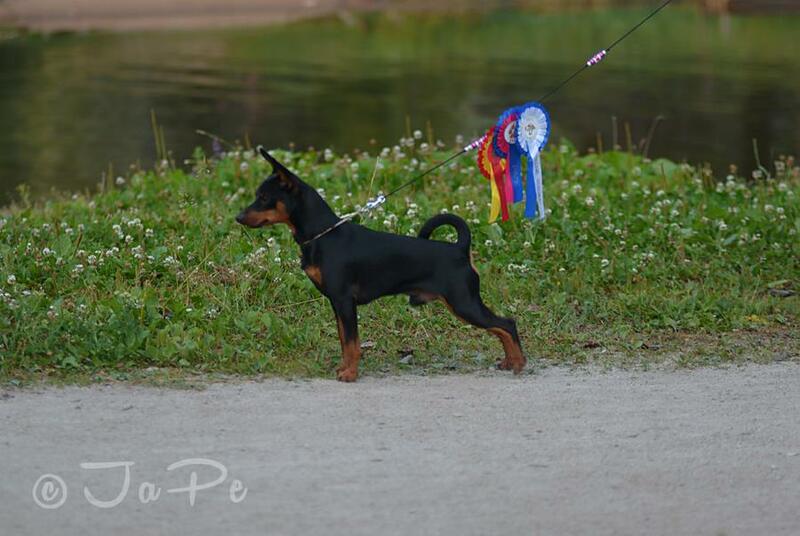 There was 130 minpin entered for the show. 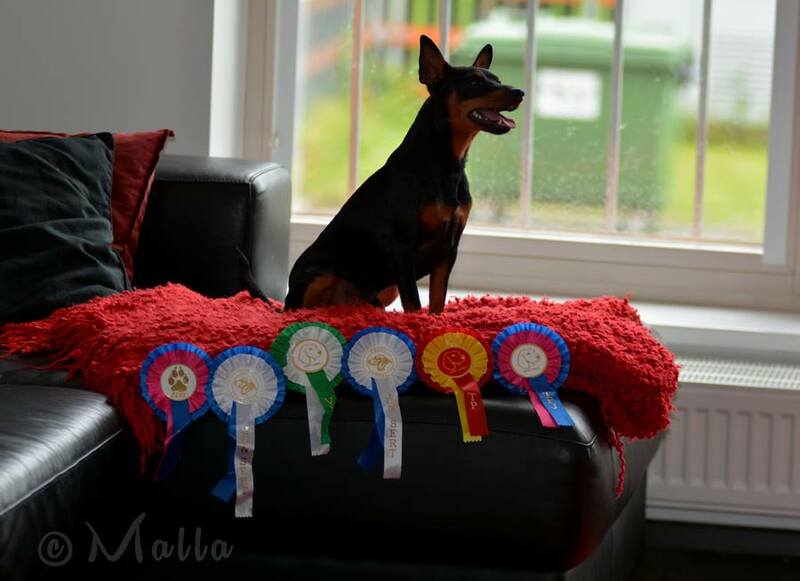 Finnish Miniature Pinschers Club had the main special show of the year 2015 in 4th July Lappeenranta, Finland. There was 101 entries. Judges was for males Mrs Eva Liljeqvist-Borg and for females Mrs Catharina Almroth. Thanks to all our gang!!!!!!!!!!!!!!!!!!!!!!!!! A'dreams Black Xcell BOB & BIG "7"
Mr Juha Putkonen from Finland was judging miniature pinschers. It was entry 17 miniature pinschers to the show.